$58 Exam, Cleaning and Digital X-Rays. 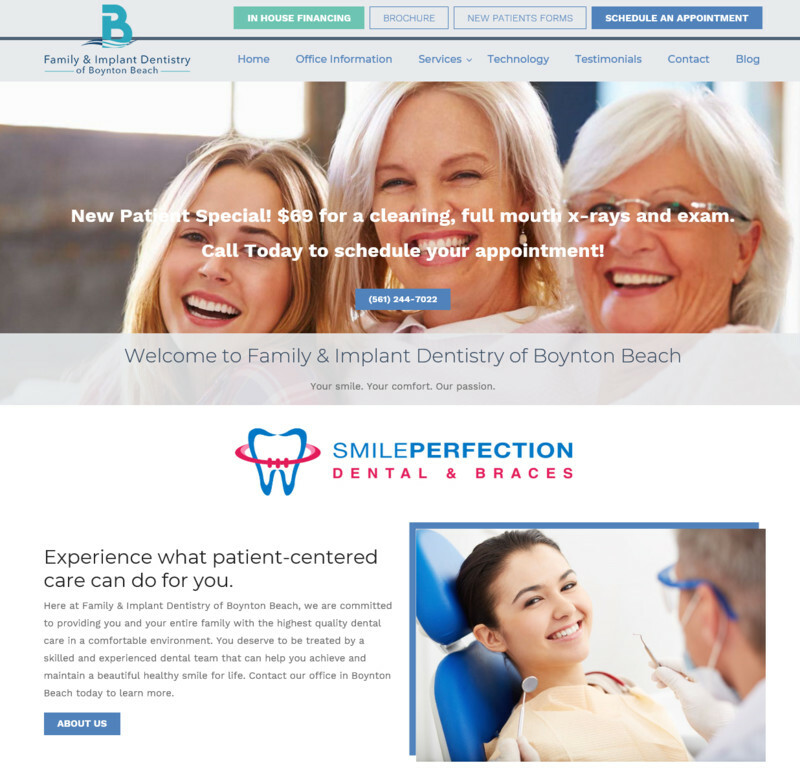 Here at Family & Implant Dentistry of Boynton Beach, we are committed to providing you and your entire family with the highest quality dental care in a comfortable environment. You deserve to be treated by a skilled and experienced dental team that can help you achieve and maintain a beautiful healthy smile for life. Ask us about "All on 4 Implants" - Teeth in a Day! *Learn about Sedation Dentistry, drift away from pain and anxiety.